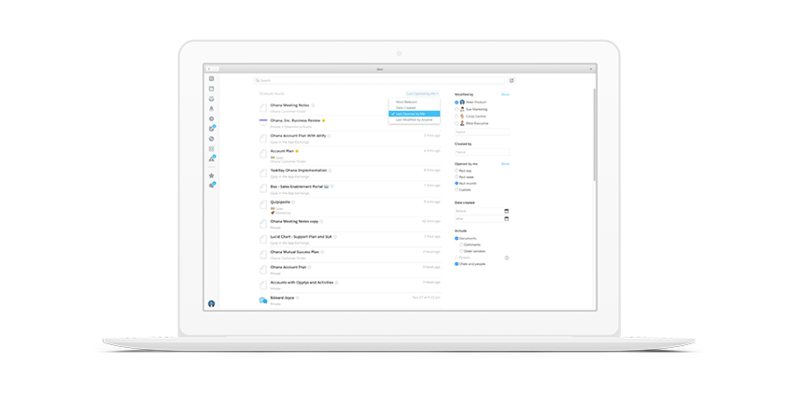 Improve team productivity with new features for Quip. 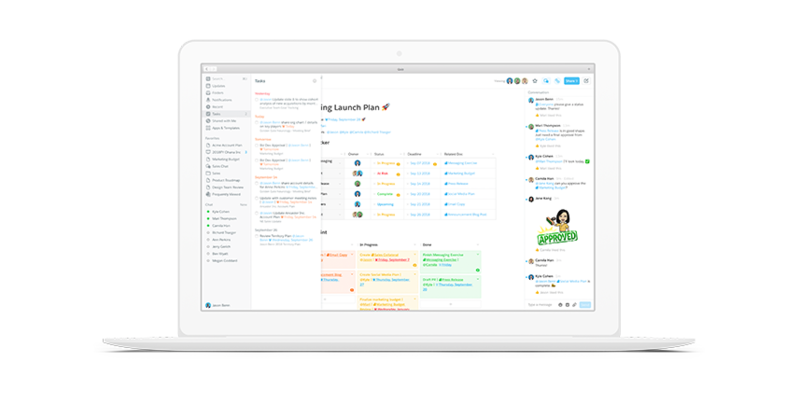 Get more work done with fewer, better meetings, and no extra file versions. Connect live data and charts to build alignment, capture feedback, and make decisions without email or file versions to slow you down. Collaborate right in your Salesforce pages by embedding Quip documents with the new Quip Document Lightning Component. Edit and comment on rich live documents, spreadsheets, and slides without switching apps. 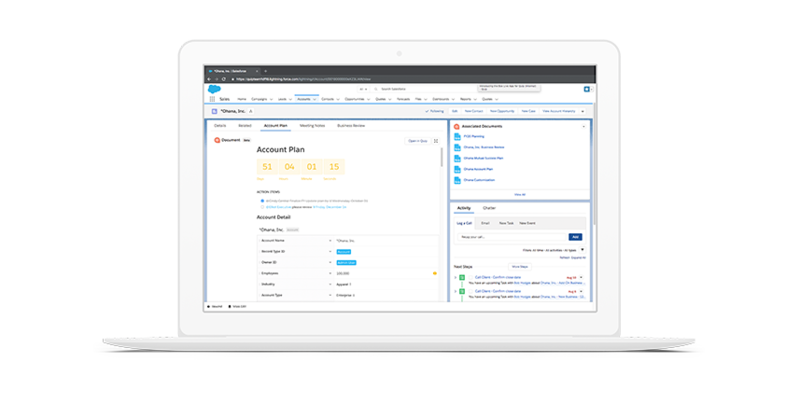 Set up integrated templates for standardizing and embedding new documents on Salesforce record pages. Find the information you need, when you need it, with Advanced Search. Improvements to search algorithms ensure that your search results are always relevant to you, making it easier than ever to find what you're looking for in Quip. Box Files View Live App and Dropbox Live App: Embed files and folders from Box and Dropbox directly within Quip documents to reference your archives and content libraries. Easily access your information whenever you need it. Salesforce Record Live App: Make data-informed decisions by placing live Salesforce data directly inside of Quip documents. Now it works for all standard and custom objects. View every task assigned to you in any document, all in one place. Get a comprehensive list view of all the work you’re assigned, then pin your highest-priority tasks, sort or hide items, and check off completed tasks from directly within the tasks drawer, located at the top of your sidebar. Visit Spring ’19 resources for the latest in training, documentation, and more. Take the trail to learn more.